All oil paintings on Asdam Art are 100% hand painted and real shot. All works are used the equal quality pants and canvas of the museum. The canvas painting is already perfectly stretched on wooden frame with hooks mounted on each panel for easy hanging out of box. The side margins are also printed to create a particularly decorative effect. Asdam Art is one of the largest online suppliers of modern canvas oil paintings wall art . We provide acrylic paintings, Mixed-media paintings, Watercolor paintings, Drawings, Painting photograph, Photo to portrait painting, Photo to canvas print, Canvas prints. 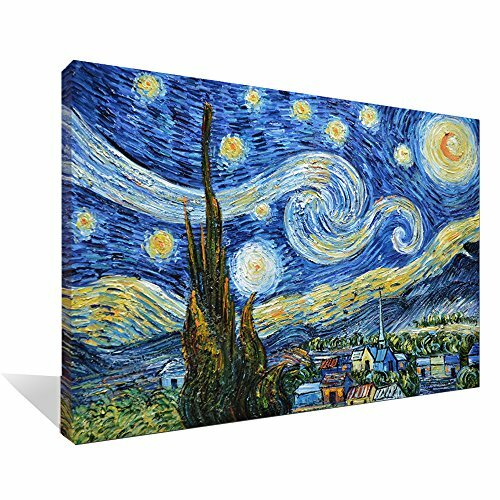 Specially good on palette knife 3D oil paintings, which are all handmade. All painters from Asdam Art have 10~25 years in painting experience. We feature a paintings gallery with thousands of decorative oil paintings for sale and beautiful canvas prints from a multitude of periods and styles including modern art, contemporary art, abstract art, famous art, pop art and much more, to satisfy all of your fine art needs. All famous paintings reproduction that you are looking for can be found or customized on Asdam Art gallery ,such as Van Gogh paintings, Picasso paintings, Dali paintings, Monet paintings, Abstract paintings,or Landscape painting, House oil paintings, hotel oil paintings etc. Wall art of oil painting is one modern way to brighten the walls of your home ,it could be a perfect gifts for your relatives and friends. Size:50*60cm (20*24inch) ----- All images on Asdam Art store are real shot, to ensure that the paintings you get are same with the pictures they showed. Painting techniques:100% hand-painted by professional painters, who has experience in making Vincent Van Gogh paintings more than 20 years. It takes more time than others to ensure all the details is perfect. Oil paints Material:Made of Imported Fine Acrylic colour, ecology friendly. Oil paintings can keep colorful permanently without fading and cracking.It will have little smells of oil, please do not worry,it is normal, and it will go out within 3 days. Stretched and Framed decorative canvas oil paintings set ready to hang for home decorations wall decor, edges are painted,each panel has a black hook already mounted on the wooden bar for easy hanging out of box. Authentic Asdam Art canvas home art are packed in carton box with Asdam Art logo printed on each box. A perfect wall decorations oil paintings for living room, bedroom, kitchen, office, Hotel, dining room, bathroom, bar etc.